Over the past few weeks I’ve divided a number of species. Various Alpinia sp. 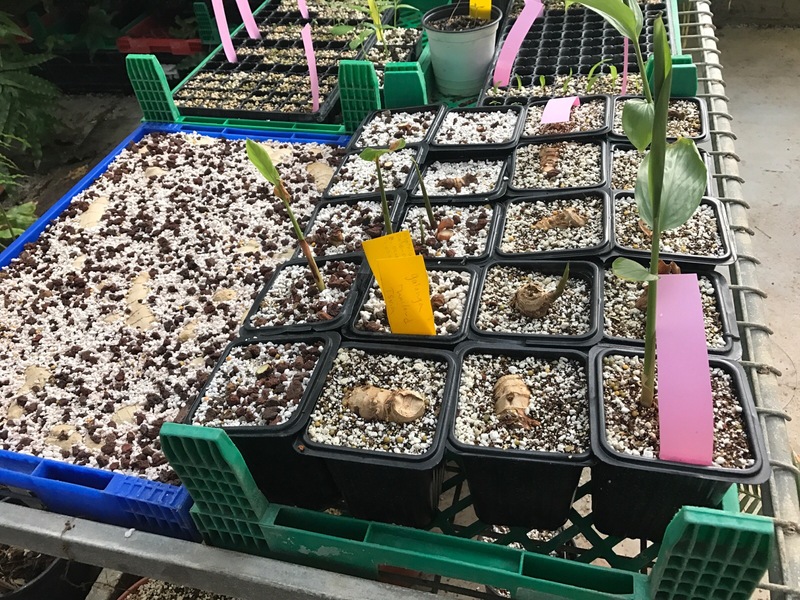 Curcuma longa, Hedychium coronarium, Colocasia esculenta, Zingiber officinale and more. Some of this work I have shared here. Lots of the larger divisions in the 11cm pots are beginning to shoot. The photos below show them in the glasshouse. Moving plants out of the glasshouse has freed up lots of space. 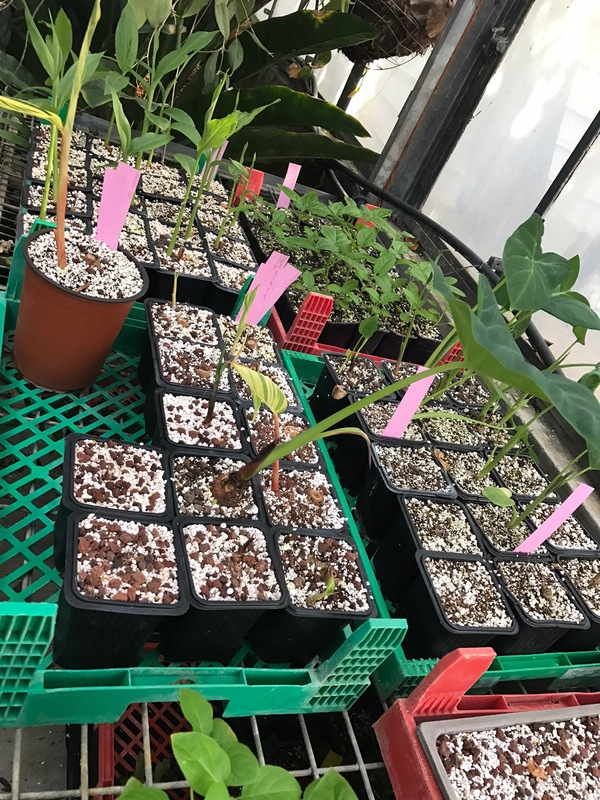 Over the next week I will be undertaking a lot more propagation. Expect to see plenty of cuttings and divisions, hopefully some interesting plants too! A large volume of plant material will be needed to fill the new tropical glasshouse. As I begin moving plants out of the storage glasshouse I’m looking to fill this space. This has led me to maximise the propagation material available to me. Lots of the perennial species in the collection are rhizomatous. 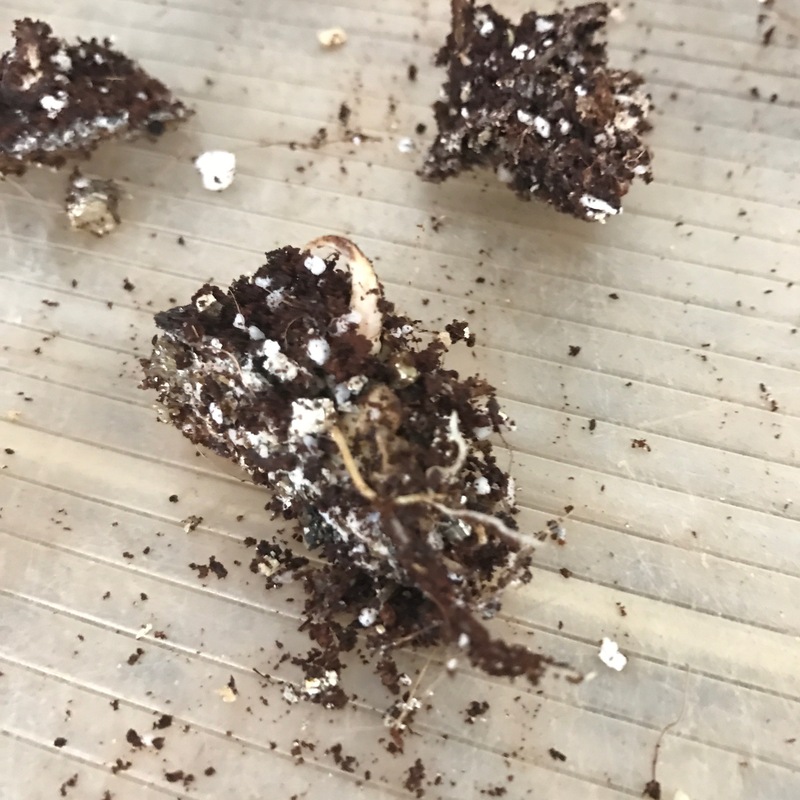 I am therefore trying to use the smallest pieces of rhizome possible to produce clones. 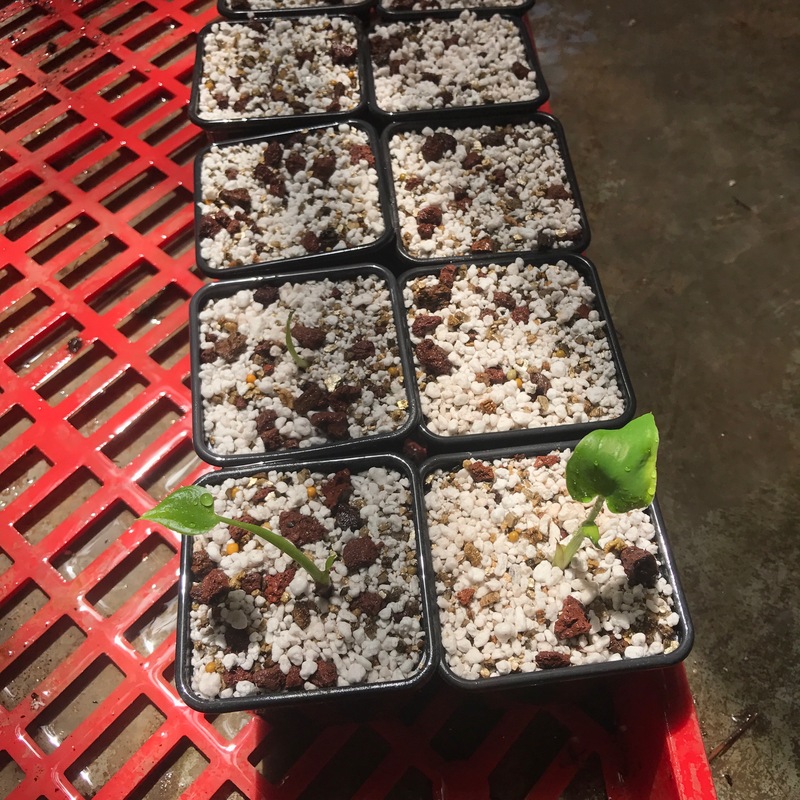 A plant I’ve done a lot of work on recently is Colocasia esculenta. C. esculenta is a tropical perennial which is grown as a food crop. 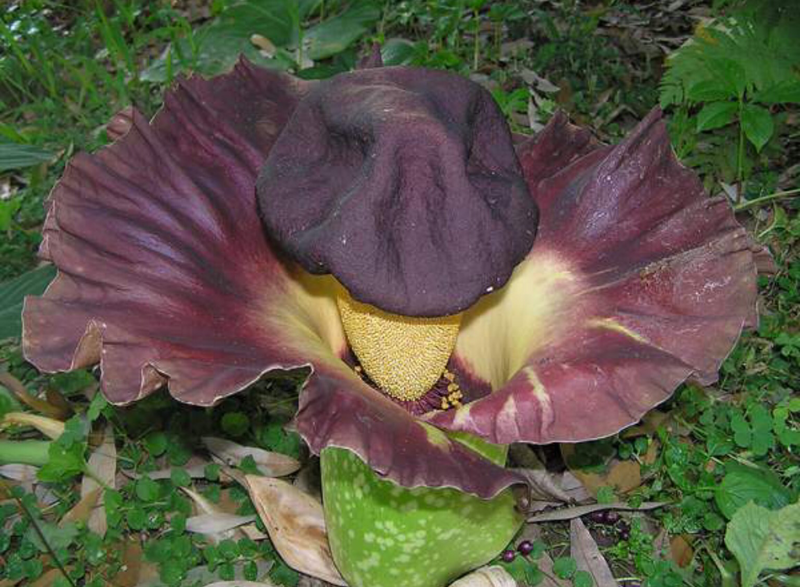 Known to have been in cultivation since 5000 bc it’s impossible to know the plants native range. C. esculenta is believed to be one of the earliest known cultivated crops. This makes it an important species for the tropical crop display. A few months ago we had only two plants. 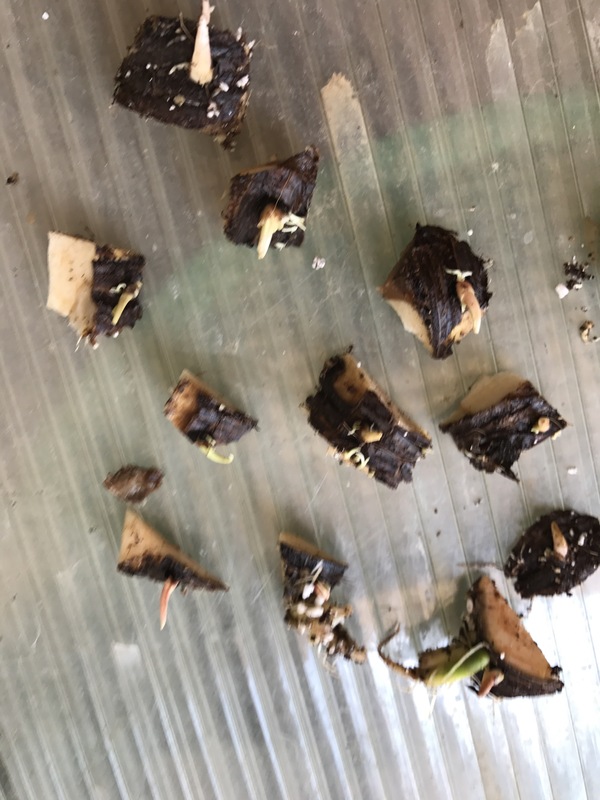 Both were in fairly poor condition, the soil was depleted and the plants root systems were girdled. Since repotting the original plants I have been testing a variety of division techniques, trying to be more and more efficient. 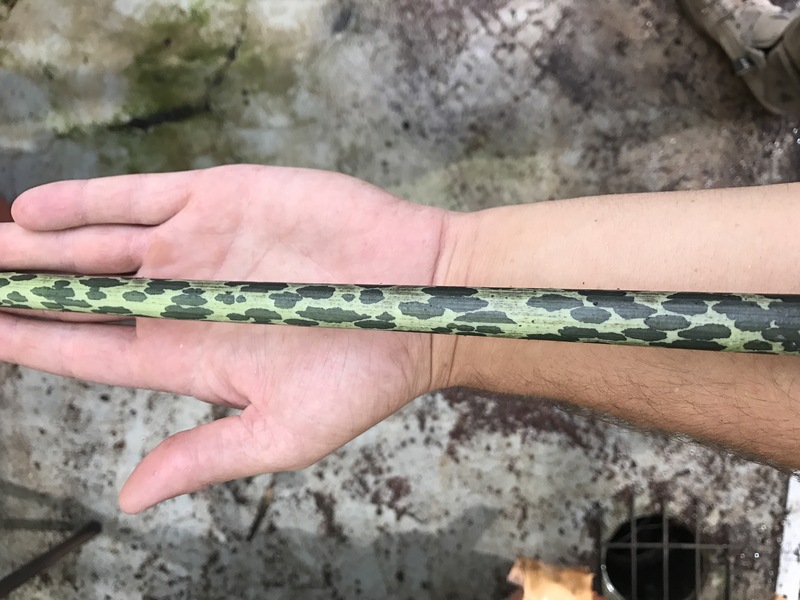 I figured out C. esculenta can be rooted from tiny sections of rhizome as long as that section has one active growing point. The section of original rhizome eventually rots away as the growing point shoots and roots over it. Despite being able to take very small sections, I found the density of visible growing points per rhizome very low. 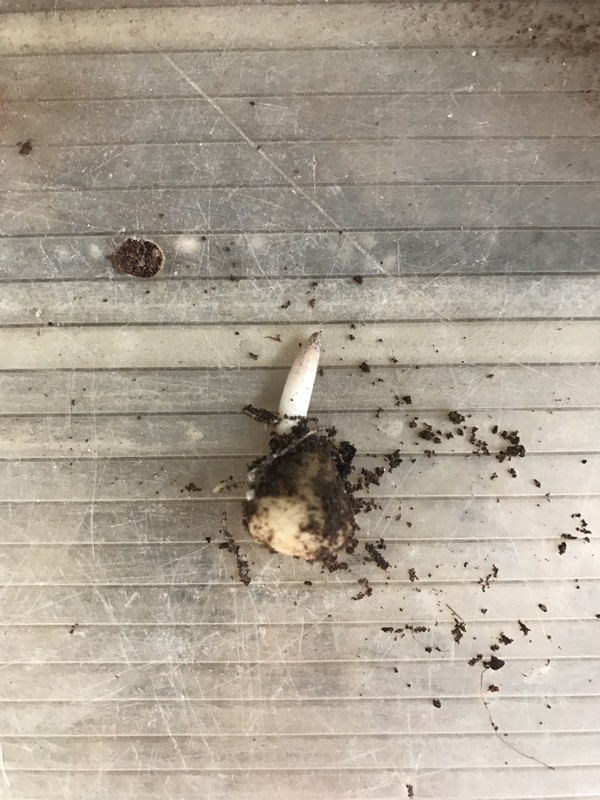 On a 10cm rhizome there would be up to four growing points visible. 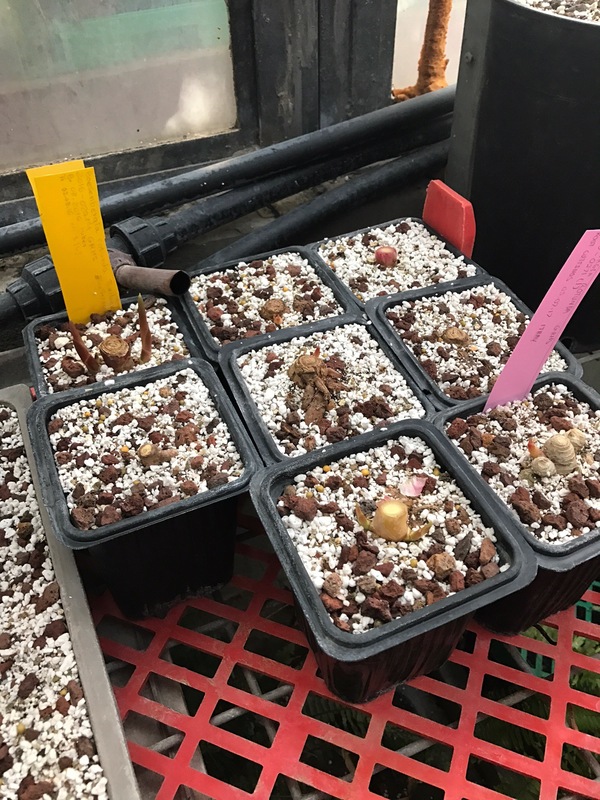 In the past I have experimented with submerging plants to encourage adventitious root formation. 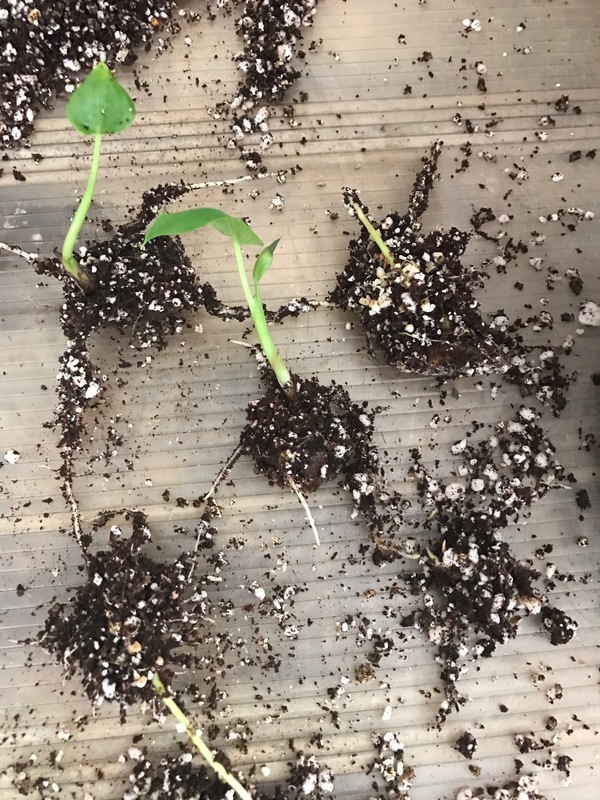 I decided to try submerging the plants rhizomes for 72 hours. This stimulated a large amount of growth, shown in the photos below. Once the growth points are showing they can be cut from the rhizome in small sections. 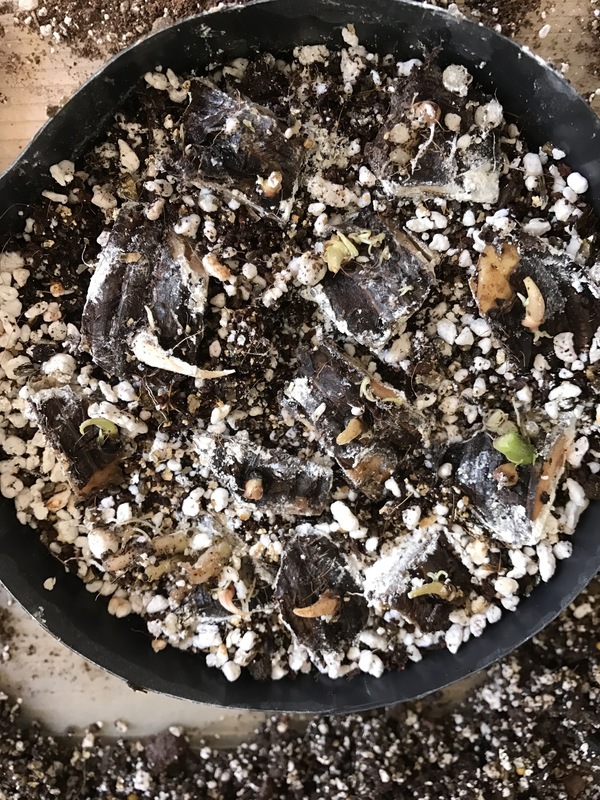 The photos below show the sections being cut, covered with rooting hormone and placed in a tray of 1:1:1 coir:perlite:vermiculite mix. When working with rhizomes or roots I use osmocote in my compost mixes, unlike for stem cuttings. 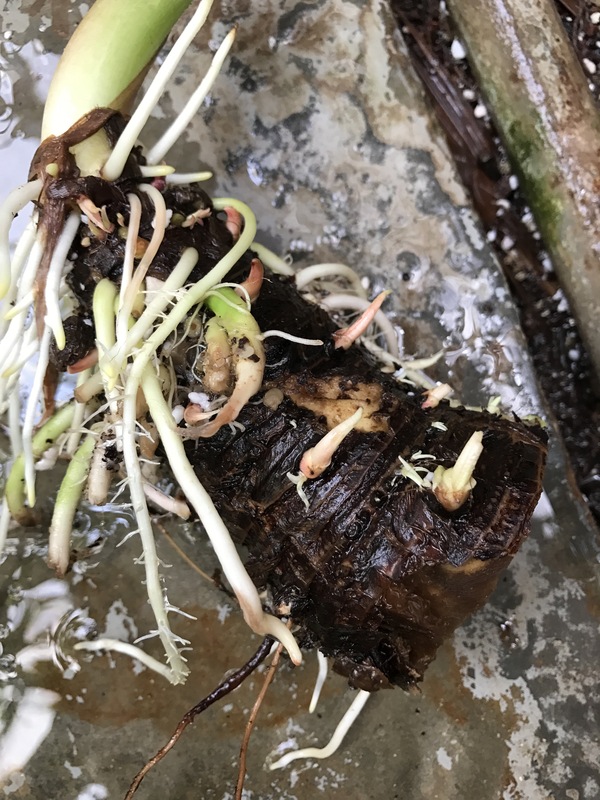 I don’t see any logical reason to exclude nutrients from a root section and from my own observations I think it increases the rate of plant formation. 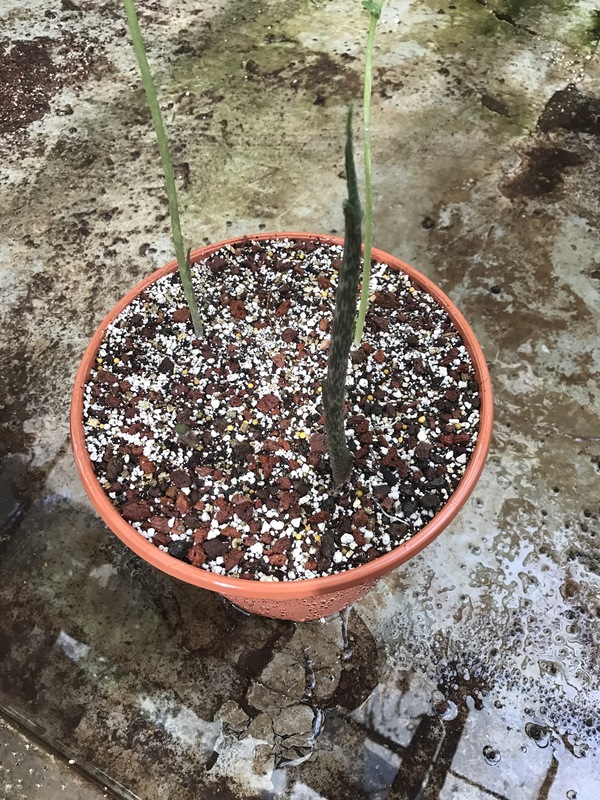 Finally the photos below show the rooted growing points being potted on. Some plants already have leaves and I expect the others to follow soon. 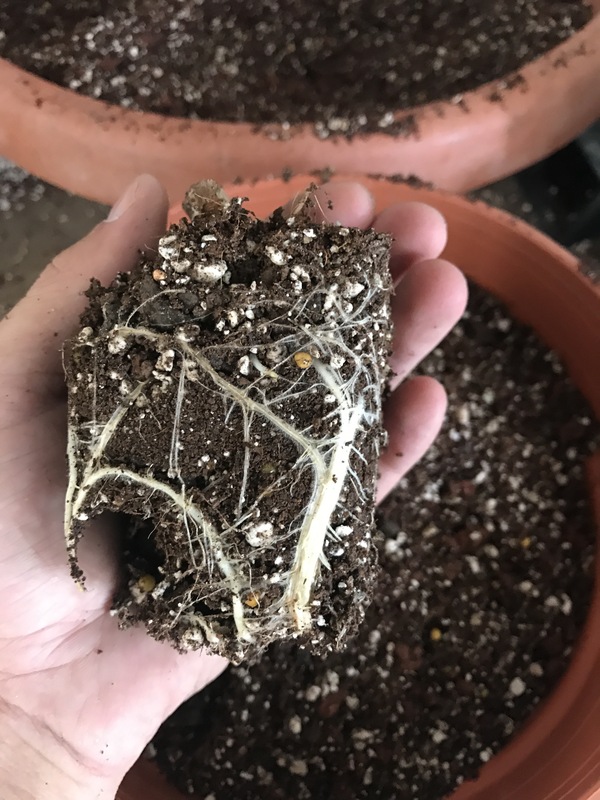 From one rhizome I produced ten plants.